My talented friends are also GENEROUS! 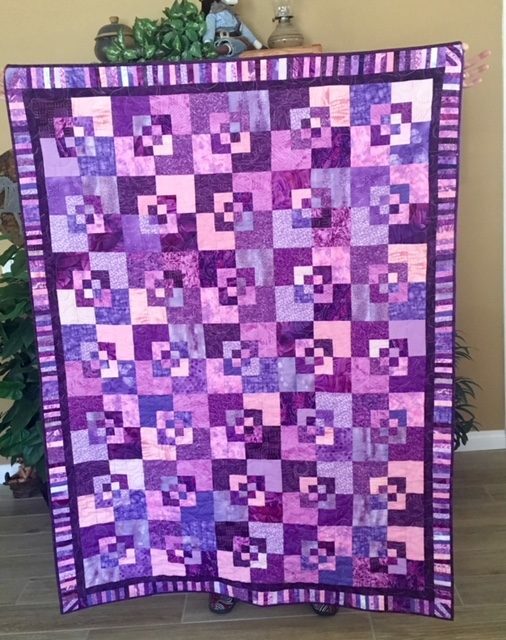 This quilt is sure to be someone’s favorite. I think the challenge fabric was used well. I especially love the borders on this one. Remember these fabrics from the last post? 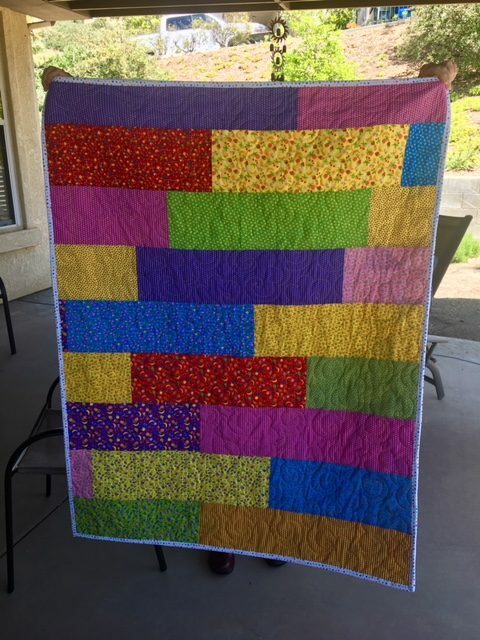 This is quilt number 2 from that challenge. And–check out the back! 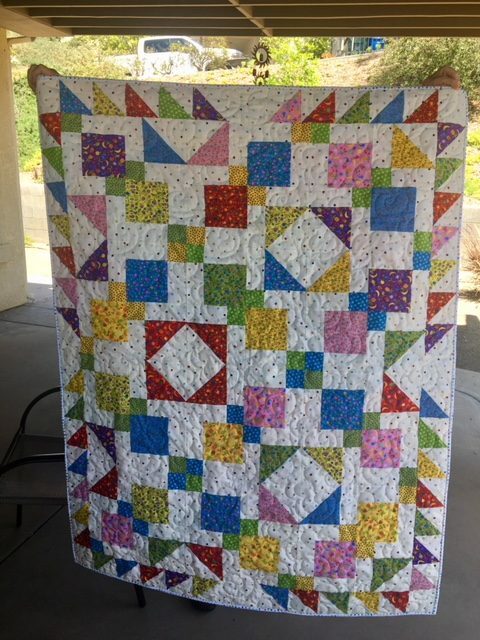 This is really a two sided quilt. So bright, so happy, so fun! 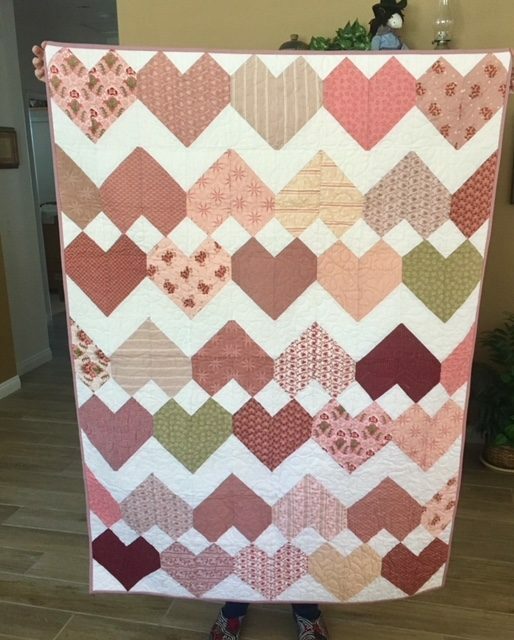 This heart quilt was donated by a friend of mine, this was not a challenge quilt, but one from a quilter who doesn’t really care for pink. I know it will be a hit with one of the kids. And this stunning quilt is made with nothing but half square triangles. 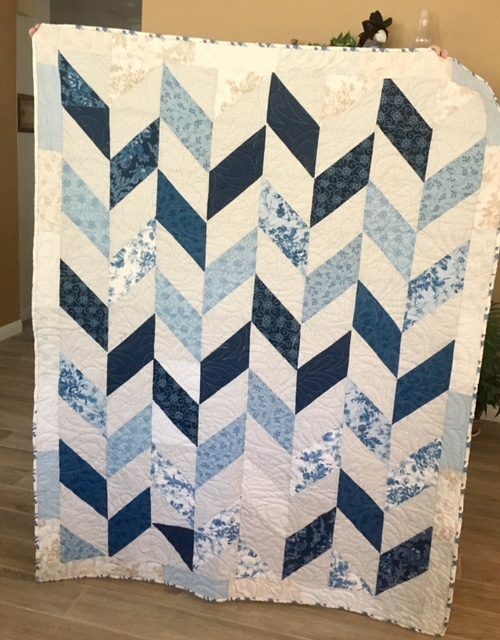 This quilter donated this because she is not a fan of blue. Well, I know it will be someone’s favorite color. Wow the quilts are so wonderful!